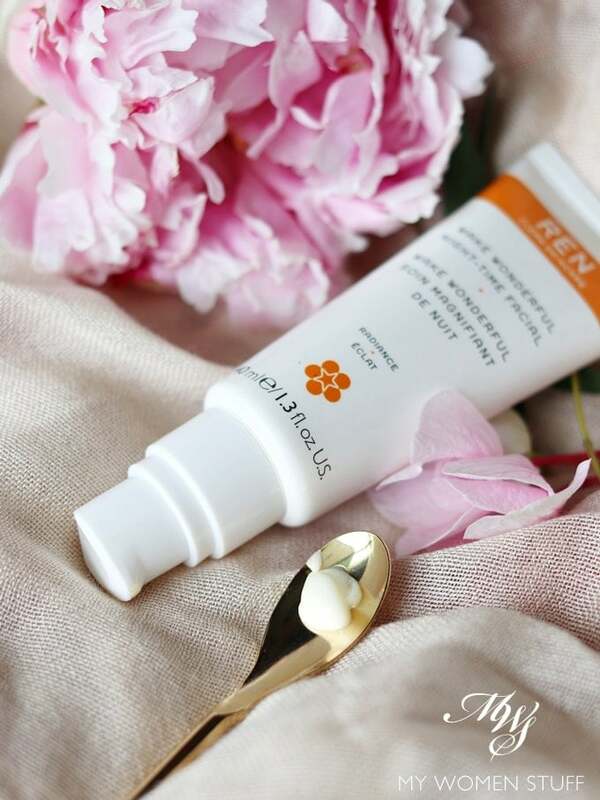 Home » Product Reviews » The REN Wake Wonderful Night-time Facial truly lets you wake up with wonderfully soft and smooth skin! Like Sunday Riley Good Genes, the REN Wake Wonderful Night-time Facial serum uses lactic acid is its key ingredient. Lactic acid, together with glycolic acid and enzymes, offer exfoliation and an increased cell turnover. Alongside, it also energizes skin to help it heal and also hydrates, so it doesn’t feel dry. 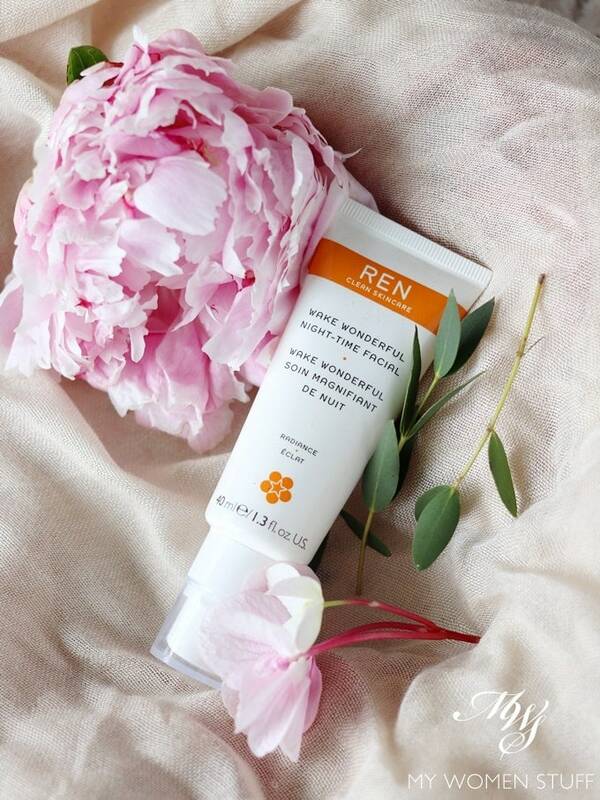 As the name implies, the REN Wake Wonderful Night-time Facial is an overnight product, and you are therefore recommended to use it as part of your evening/night time routine. Unlike Sunday Riley Good Genes, this does not smell awful. I detect a hint of citrus, but it really is just a hint. It isn’t unpleasant at all. I don’t experience any tingling, as I do with Good Genes and in some ways, I find this to be a little less potent. However, like Good Genes, I find that the REN Wake Wonderful Night-time Facial does a good job at helping your skin feel and look smoother, clearer and brighter. If you have a skin texture problem e.g. significantly enlarged pores, rough skin or dull skin, then you will likely be the best person to benefit from this serum. A point to note is that the REN Wake Wonderful Night-time Facial is a treatment product. If you have sensitive skin, I highly recommend a patch-test first. You may experience tingling or redness. If you do, and it feels uncomfortable, then you may want to avoid this. However, if the tingling isn’t uncomfortable, and your skin does not react or turn red, it is normal. If your skin feels sensitive, use it just once or twice a week. However, if like me, your skin doesn’t react at all (my skin is quite well exposed to acids, so it handles it quite well) then you may use it more often – every alternate night or so. What I find when using the REN Wake Wonderful Night-time Facial, is that my skin always noticeably looks better the next morning. This is less obvious when I’m using it consistently, and more obvious when I don’t. The most noticeable thing is the texture. My skin feels softer and smoother. You will notice this, because you will have this crazy desire to keep touching your face (not advisable LOL!) simply because you can’t believe it. In terms of radiance, I do feel that Good Genes does a better job in this area. You will notice improved radiance. Exfoliation and the acids will help your skin cells turnover more quickly, and this will make your skin look more radiant. However, I find the process with REN Wake Wonderful a little slower. So, you should expect to see results after about 2 weeks with very regular use, or if not, 1 month. But you will see results, and that is what impresses me. If fine lines are your concern, then this serum will help too. It helps plump up lines, and because your skin will be healthier, the lines will look softer. It will still be there, but less noticeable. This is often the case when you use AHAs in your skincare regimen. However, I will also have to emphasise that because this is an AHA product, that exfoliates your skin, please be sure to use a good sunscreen in the day. It will protect your skin and cells from UV damage, which directly helps you see results for skin radiance more quickly. You use about 1-2 pumps each time (picture shows 2 pumps) and this is a light cream formula, that absorbs quickly and easily into the skin. It isn’t drying, and spreads very easily. I find it very comfortable and the tube packaging makes it very portable. The REN Wake Wonderful Night-time Facial serum is a serum that not only makes your skin radiant, it also improves skin texture and makes it feel smoother and softer. It is not drying, and has a lovely creamy texture, without too strong a scent. If you have sensitive skin, you may experience tingling or slight redness. This is to be expected. I personally don’t experience any issues, but that is because I use acids in my everyday routine so my skin is used to it. Based on my experience, I enjoy how this serum makes my skin noticeably softer and smoother, and does make my skin look healthier and perhaps even more radiant with regular use. I use it on alternate days if I want to see results. But otherwise, I use it about twice a week. This is a worthy and more affordable alternative to Sunday Riley Good Genes and absolutely worth every penny. 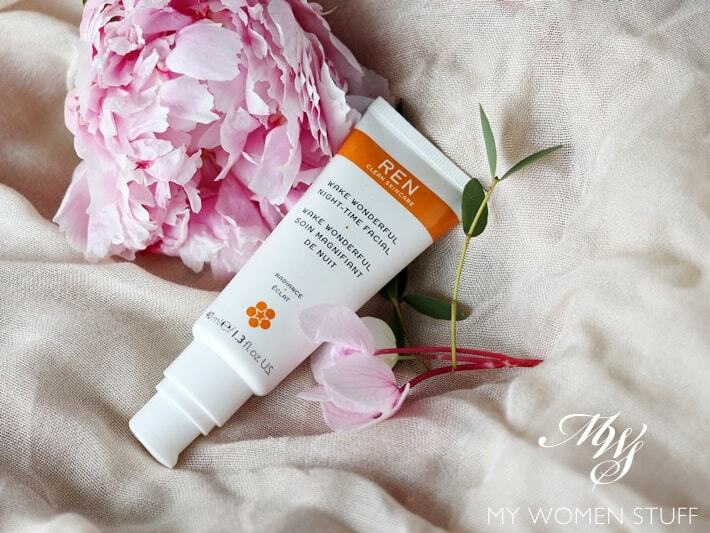 Have you used this REN Wake Wonderful serum? Do you know of other similar alternatives? PREVIOUS POST: When people talk about having “good skin” do they really mean having “young skin”? NEXT POST: I only sampled the Three Aiming Cleansing Balm but it wormed its way into my affections as quickly as One, Two and Three! I tried this sometime early last year, having received the full size as a freebie in a beauty box. I remember it tingling slightly when I first used it but then it was ok. I mean I am used to acids in all forms so I knew what to expect. However, I did not really use it as much as I wanted to and when my husband asked me for a new moisturiser, I passed him this tube and he finished it! But when I told him how much a new one would cost, he balked at the price and asked for an alternative instead (he is cheap and I ain’t supporting his beauty habit, cos helloooo mine is expensive enough to maintain :P). I think this product is actually really good for people who are lazy about skincare because it has a gentler form of AHA (Lactic), it contains shea butter and other plant oils to moisturise the skin, hyaluronic acid to help with hydration and even some vitamin C and useful plant extracts thrown in. Especially for men who shave frequently or have facial hair, the acids in this is good in helping with skin resurfacing and help prevents in growns. I’m glad you’re enjoying this and you’re right, it is cheaper and smells much nicer than Good Genes. I totally feel you Victoria! LOL! What I’d suggest is to perhaps use up the Mad Hippie Retinol then replace with this one for a spell to see if you like it. You can use the Trilogy Face Oil over 🙂 Sometimes I feel a bit like a mad scientist with the choices I have LOL!